Quality and Safety are inaugurated in our thoughts and actions. Our service philosophy is to develop long term customer relationships based on a quality of service that goes beyond our core cleaning functionality. We will always endeavor to practice Quality every step of the way bearing in mind that it will bring sustainability to Cleanco, and delight to our customers. We ensure that the elements of our delivery model reflect the quality so that our customers receives only the very best service experience. 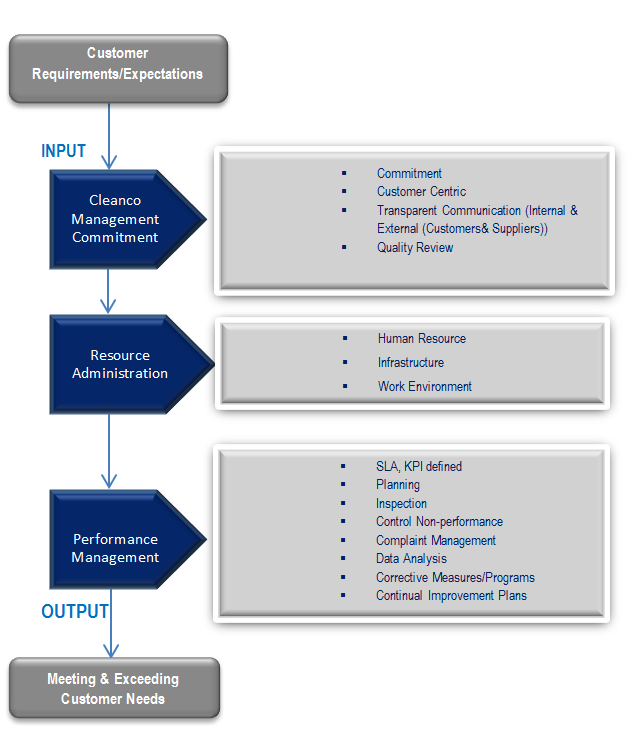 Through our quality management system standards we provide consistent processes across all areas of the organization in order to enhance our capability to continually monitor, maintain and improve the efficiency of our performance. 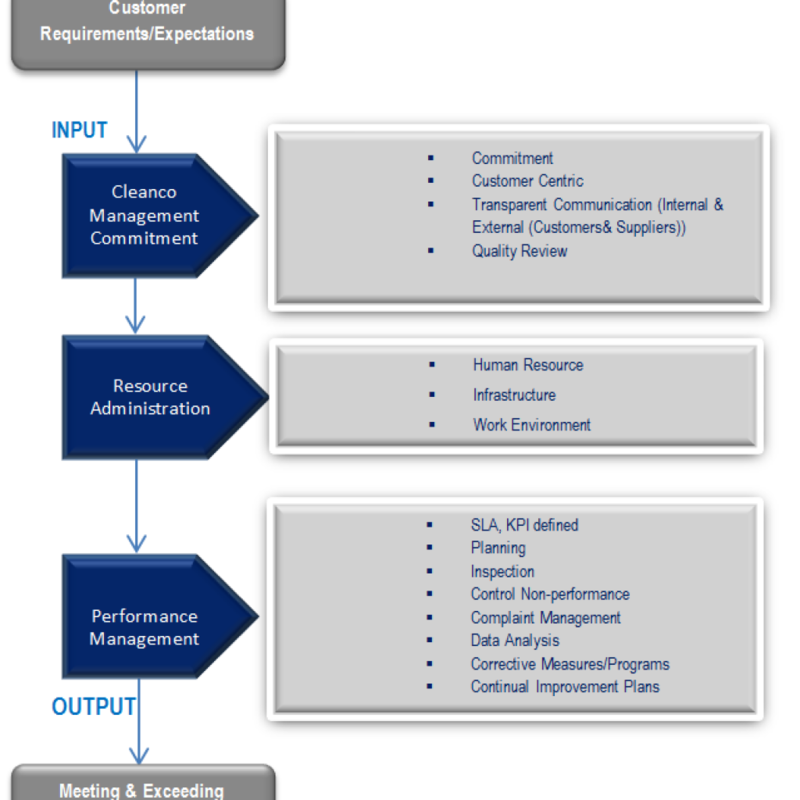 Continuous progress and service excellence forms the foundation of Cleanco. Building responsible and valued partnerships with our customers, suppliers and employees is integrated into our approach of doing business. We serve our customers with specific value propositions while focusing on identifying customer needs and building enduring partnerships. We also strive to maintain long-standing relations with our suppliers and develop products in partnership with selected strategic suppliers. As part of its delivery model Cleanco reports the actual contract performance against the agreed Service Levels and Key Performance Indicators (KPIs) at the agreed frequencies. In this way customers can be sure to enjoy the benefits of an output-based service contract while being in full control. For us certifications are not a matter of reputation; but an affirmation of our skills and expertise, which directly translate into quality and safety for us and our customers.